Our super soft Speak Up! t-shirts are a great way to use your voice where ever you go! These heather gray shirts feature our theme verse, "Speak up for those who have no voice... - Prov. 31:8" on the front, with The Great Need logo and #Shout4TheOrphan on the back! Available in kids and adult sizes! Proceeds benefit The Great Need's work serving orphans in the refugee camps in Iraq! 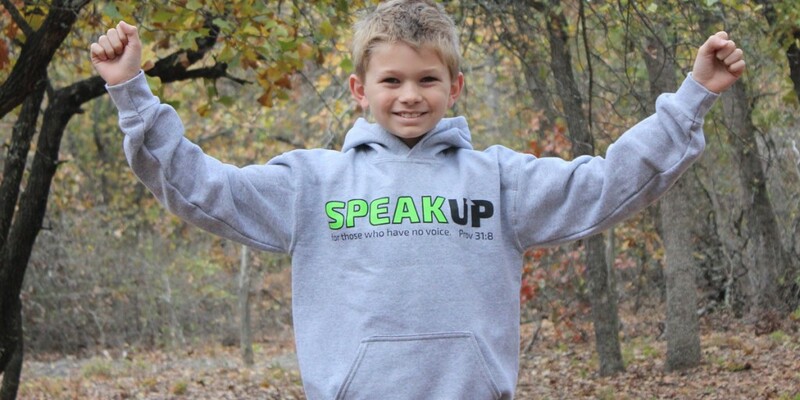 Our Speak Up hoodies are warm and cozy and a great way to spread the word about The Great Need's work to serve orphans around the world! 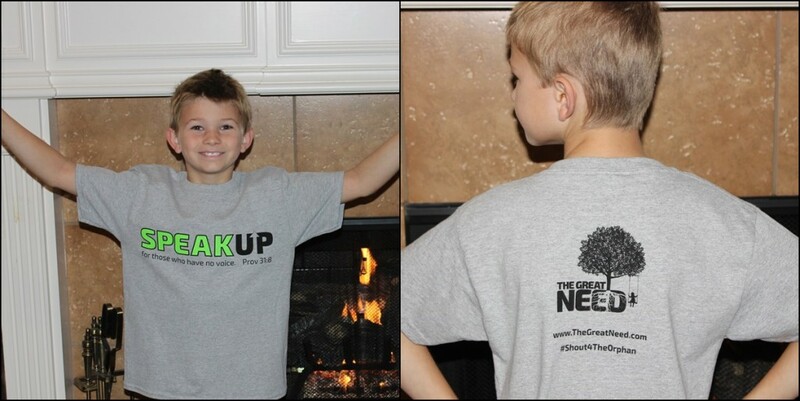 They are athletic gray with our "Speak Up" logo on the front and Great Need logo and #Shout4TheOrphan on the back! Proceeds benefit our work serving orphans in the refugee camps of Iraq! Please Note: Adult L and XL currently out of stock. Shipping charges are $5.00 per order, regardless of quantity. All orders will be shipped within 3-5 business days by standard US mail. All orders must be shipped to address in USA. No international orders. For international orders please use "Contact Us" form on main menu. In addition to the T-Shirts / Hoodies, would you like to make a donation to The Great Need's Iraq Project. 100% of all donations received will be used for our projects in the refugee camps of Iraq, assisting orphaned children with clothing and food, as well as working toward long term care for the children.